Here at the Current the only thing we love more than traveling is writing about traveling. There is a lot of misinformation out there so we’re going to bust the top 10 travel myths. While traveling is certainly easier if you have a lot of disposable income, you don’t necessarily have to be rolling in dough to see the world! If you plan ahead and save up (you might have to make some sacrifices while at home), you can end up with enough money for a lengthy getaway. You can also earn a living overseas with work such as teaching English abroad or volunteering in the Peace Corps (or similar organizations). While there are certainly places and accommodations that are best avoided, this is not the case with every option. Couchsurfing for example may sound suspect, but it’s becoming increasingly popular for a reason! Not only is it relatively safe, it offers a chance to get more involved in a foreign culture than staying at a pricey hotel. Don’t let preconceived notions about things like Couchsurfing or hostels dictate your trip. While you can get pretty good deals at duty free (especially coming into Canada from the US! ), it isn’t the be all and end all of cheap shopping. You can often find cheaper options for souvenirs, alcohol, or whatever else you want if you browse around the country you’re visiting. You’re usually allowed to bring back a selection of goods into Canada anyways, even if it’s not from duty-free. While planning your getaway 6 months in advance is great, you don’t have to worry too much if you can’t plan that far ahead. Airlines will often be looking to fill seats closer to departure so always be on the lookout for last minute deals. Be sure to shop around, as well as adjust your arrival and departure dates to find the best possible rate. Do you always wear a traveler’s wallet around your neck when you walk around your hometown? Of course not, and you don’t necessarily need to do this (depending on where you are of course) when visiting a foreign city. Most times a normal wallet or purse will do just fine – just be aware of your surroundings. What you should do however is not carry more than you need at the time and lock up extra money and important valuables at the hotel (e.g. passport), so if your wallet does get nicked, you have a backup plan. While train travel in Europe is reliable, generally cheap, and fast (especially on the continent), it isn’t the only option. Budget airlines like Ryanair are common throughout Europe and offer great deals on flights. You can save money and arrive at your destination before you know it. 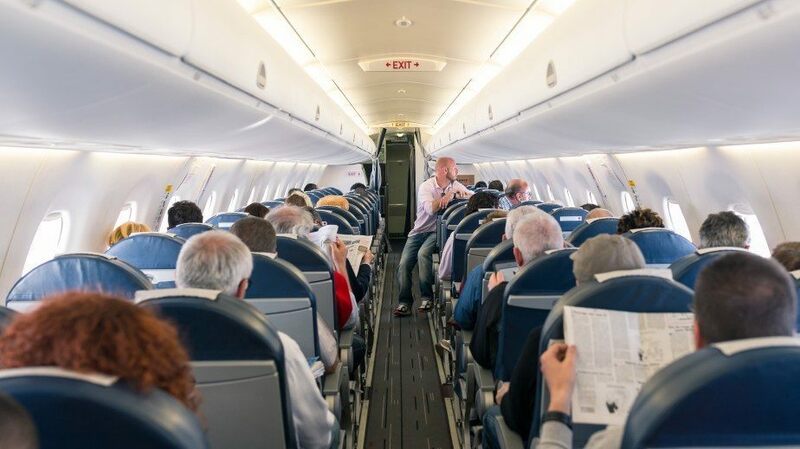 While airplanes make many people nervous and disasters are well publicized, flying is actually a very safe option. In fact, if you look at 100 million miles, there are on average no fatalities and almost no injuries on airplanes versus 1.27 fatalities and 80 injuries when traveling by car. While this may not be a perfect comparison, just remember that flying is a statistically safe option. Just because a country has a few regional warnings or the Government of Canada recommends a high degree of caution, this doesn’t mean you have to avoid it. For example, millions of people travel safely to Mexico every year – just be sure to avoid certain states and cities. Other countries might have an overarching risk of demonstrations or terrorism, but in many cases these are rare incidents (e.g. Morocco) and the country is still safe to visit. Be sure to read the complete advisory so you know what to expect and take in the account localized warnings. Of course, if it’s recommended to not visit the country for any reason or for non-essential travel – it’s best avoided. While this can sometimes be true, a lot of hotels offer discounts on the weekend since they know that’s when people are more likely to visit. The point is that no matter when you want to travel, you’ll likely be able to find a good deal!